Mr. Oaks’ comments were in the context of LGBT issues, but he stepped outside of that context when he justified his position by stating that the word “apology” does not appear anywhere in the scriptures. The essay on race and the priesthood mentions Brigham Young’s introduction of what became the Church’s institutional racism, but the Church does not apologize for the poor treatment Blacks have suffered because of the false doctrines Brigham Young and his successors taught. Nor does the Church apologize for the fact that these leaders clearly led the Church astray. The essay on violence among 19th century Latter-day Saints mentions the “heated rhetoric of Church leaders” that may have led Mormons to think that they should murder 120 unarmed non-Mormons who were traveling through Utah Territory on their way to California, but the Church does not apologize to the victims’ descendants for this indefensible atrocity. Nor does the Church apologize for its blatant and continual misrepresentation of this massacre that spanned well over 100 years. If Mormons hope for any apologies from their church, it appears that they will always be disappointed. It seems the Church and its leadership are not ultimately interested in repentance and reconciliation (a position, of course, that does not “comport with Christian theology”); as Mr. Oaks said, what the Church is interested in is achieving its goals and moving ahead. In 1996, responding to a question about the Mormon Church’s racism, Mormon prophet Gordon B. Hinckley told 60 Minutes’ journalist Mike Wallace, “Look, that’s behind us. Don’t worry about those little flicks of history.” This is right in line with what Mr. Oaks expressed to journalists last month. I guess believing that Mormonism is God’s one true church means never having to say you’re sorry. This entry was posted in Brigham Young, Gordon B. Hinckley, Joseph Smith, LDS Church, Mormon History, Mormon Leaders and tagged Church of Jesus Christ of Latter-day Saints, Dallin Oaks, LDS Church, LDS Church Policies, Mormon Church, Mormonism, Mormons, Mountain Meadows Massacre. Bookmark the permalink. 27 Responses to Mormon Church does not apologize. I do agree with “I’m not aware that the word ‘apology’ appears anywhere in the scriptures”. However, these words: “Forgiveness, repentance, etc” do occur. Why would the LDS church express regret? If they’re expressing regret, there must be something wrong done, and if it’s something wrong, the Bible calls it sin. Oh I hope they will repent! This is the problem with men who fancy themselves a ”g”od . They can’t even master the art of treating people with common decency and respect by apologizing for your short comings yet think they’ll rule their own planet one day….Can you imagine what said planet would look like if it were populated by people with that mind set ? These guys are like Fonzie in the old “Happy Days” sitcom. Remember Fonzie couldn’t say the word “wrong” as in “I was wrong” when he needed to apologize for something. He would say, “I was wrrrrr”, but couldn’t spit out the word “wrong”. It must be remembered that to the true believers, the LDS church is the “one true church” with a “living prophet” and when the leaders speak the thinking has been done. Add to that the little ditty about following the LDS leaders because they’ll never lead you astray and you have the perfect storm of pride, pompousness, ego and self-righteousness colliding with one another. Not to get off topic here, but isn’t the LDS church the bunch who lambast the doctrine of the trinity by saying that the word “trinity” isn’t in the Bible? Why does anyone follow these fools? What it boils down to is this, If they did say they were sorry and admit they were wrong, it would cause members to question if they are wrong about matters of eternal nature, like is the god they believe in the one true God. But also even if they did say they were sorry and admit they were wrong, it would not matter to all the souls that have died believing a false gospel and and are separated from Jesus for all of eternity. Actually, the refusal of LDS leaders to apologize for anything is completely logical, at least to them. First, the Church selects its leaders not from moralists or spiritual shepherds, but from businessmen and corporate executives, with the occasional accountant thrown in for good measure. These corporate leaders listen to their lawyers, and the Church has hired plenty of those. The lawyers have carefully explained to Church leaders that “apology” equals “admission of legal liability,” and the Church leaders definitely do not want to be sued. It’s that simple. 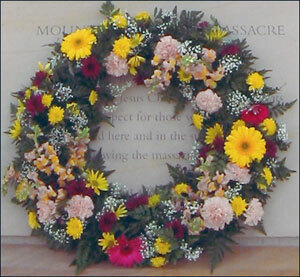 The Mountain Meadow Massacre, by itself, could cost the Church millions. Second, to apologize would be to admit error, and the Church’s fundamental tenet is continuing revelation. Very few churches claim that their actions are always the actions of God, but the Mormons are at the top of that short list. If the Church admits error, it is admitting that they are not constantly led by divine inspiration. Although such an admission would seem harmless, even spiritual, to most of us, to Mormons an admission that the Church has erred is an admission that the Church is not what it claims to be. And it’s a fatal admission. And third (if you really need a third reason), is that — just as many have pointed out over the years — LDS leaders are a very arrogant, sanctimonious subspecies. They don’t apologize out of simple pride. And, as we also know, the vast majority of Mormons will follow their leaders regardless. Will they apologize for any of their other mis-steps or mis-deeds? Anyone want to start a list? We have Mountain Meadows already. How about the ban on blacks in the priesthood, polygamy, or the use of mis-leading information regarding how Smith was said to have translated his gold plates. Mormon church hierarchy does not use the word apology ? That’s not surprising to anyone . These men have successfully created a organization that is very hard for members to leave , and one of the more clever tools leaders use is employing words games to soften and dodge the verdict of what their behavior reveals , namely, that they have failed in their claims of authority . They are not Jesus’ latter days exclusive messengers , the sole dispensers of His gospel of salvation . Mormon leadership have promised to provide ” pure doctrine ” from God , thus there is safety in following them as gospel preachers . They have claimed to never teach / condone false doctrine . [ Gospel Principles , 1978 , p 47 ] . The excuse used to protect this claim is to say some of the teachings by Mormon leaders in the past were only ” opinions ” , nothing more . Clever . When Mormons proudly testify to non – LDS that a sign of the true church is that there is no “paid ministry ” / ” paid clergy ” etc and that Mormonism passes that criteria . Yet word games are used , and half truths , to prove that claim . Instead of ” salaries ” it’s words like ” renumeration” or ” compensation ” that are used . But after the parsing of words is done it become evident that top Mormon leaders do receive financial support to live on . Yup…………………I’d say that’s right. The organization can’t be seen to apologize, perhaps for liability reasons. I don’t know if there’s a religion/organization that is as much under the microscope today as the LDS church. Maybe it’s just that it’s under my microscope. I think it’s going to be more and more difficult for the LDS church to manage its image and control information. In fact, I think the information flow has been totally lost. The only people to not get it are the committed true believers. See “Swedish Rescue” as an example. Funny thing about this is that devout Mormons will see the ” no apology ” stance by Dallin Nopes as shrewed, as it protects the church while at the same time being blindsided by the fact that if it were the true church it wouldn’t need to protect itself from liability charges in the first place. That should read Dallin Oaks, don’t know what happened there. There’s just too much stuff that has to go on the LDS shelf before it collapses for the individual believer. So why not stone-wall, not apologize and just rationalize it all away because, after-all, the LDS church is the one true church. Even if these 187, or whatever number, of things are true pointing to the fact that the LDS church has serious problems, the system is still true. OK so what if it isn’t a restoration of original Christianity, that doesn’t make any difference, I like it, feel really good about it, so it’s true. The groups today that have a prophet at the top of their organization who is viewed by members as God’s exclusive mouthpiece , these prophets don’t apologize for their teaching errors , they simply use carefully worded statements designed to soften their behavior . Members who have been persuaded to join their organization/ church are taught that to criticize the prophet , to think that that prophet is as likely to be wrong as they are to be right on doctrinal matters , is to allow the Devil a place in their life etc . This scenario has the rank and members who think this way to be the guilty party , and thus it is they who need to apologize to God ! Since the prophet has promised not to teach or condone false teachings to his flock he is’nt quilty of any error , it’s rank and file members who think he has who are in error ! This is the type of life that Mormons and Jw’s live as followers of latter days prophets who sit atop their powerful religious organizations . These prophets have not apologized for teaching errors because they have never taught false doctrine — this convinces rank and file members to stay in line and continue working in the system created by their prophet . Fortunately there are some members who begin to think for themselves and realize something is’nt right , and they walk away from the prophet and his organization . We want to help them see that the problem was false prophets , but the answer is Jesus , Him alone . No religious organization , no prophet at the top , rather , it’s all about Jesus and the freedom that only He can give –Jn 14:6 . John Dehlin has been canned by the church. I heard that on the news at work today. Here you go regarding John Dehlin. I don’t think he and the others who have been given the boot by the LDS “court of love” will be getting apologies any time in the near future. Now isn’t that something? Do they mean to tell us that John Dehlin disagreed with LDS doctrine that there are millions if not billions of gods in the universe, that men can become gods and that Jesus is merely one of these? What a great PR move for the LDS church by including that charge they will lead people to believe that the LDS church is just another branch of orthodox Christianity, which we all know isn’t true. Who is Jesus LDS folks? That’s what you need to find out. It’s safe to say that the Mormon hierarchy is’nt ever going to apologize to John Dehlin . Organizations like Mormonism or the Watchtower Society of Jw’s are headed by a prophet that does not see any need to apologize for what they have taught their followers because they feel that they have never taught / condoned false doctrine . Their followers believe that , and so it is they ( rank and file members ) who will have to do any apologizing ( to God ) if they believe that their prophet has been guilty of teaching falsehoods . 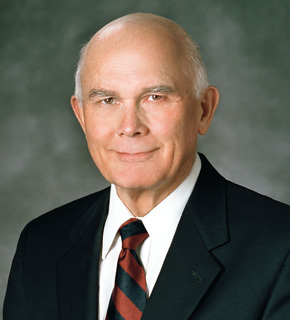 Mormon leaders have said that those of their flock who criticizes their teachings/ decisions are suffering from a ” spiritual sickness “– Mormon leader Harold B. Lee said that very thing . [ Oct 1947 Conference — Conf. reports , p. 67 ] . The Mormon people are the victims of a broken trust . May they dismiss their leadership and do the thing that honors God , namely, walk away from these men . Mormons don’t need them . A right relationship with God is available out side the Mormon church . Gay marriage and ordination of women was the death blow for John Dehlin. His current thinking lines-up more with the Community of Christ Mormon sect. John Dehlin had a podcast called “Mormon Stories” that delved into the troublesome aspects of Mormonism. He also had a presentation called “Why they leave” examining why people leave the LDS church. It can be found with a google search. John has had an interesting journey of discovery. He was in, out, in and now out of the LDS church. When I first listened to his “why they leave” presentation, he was in the camp of “even if the church isn’t true that’s no reason to leave”. Well that’s an exaggeration but you get the drift. People go through the process but eventually, as you know, they just can’t make it work any more. I personally could never imagine myself going back in but then my exposure wasn’t as intense. I hope he finds his peace and comes to the full blown knowledge that Christ is everything. The LDS church’s inability to apologize tells us a lot about the leadership of this Mormon sect, much of it already pointed out by posters. In-a-way, this inability is a part of the LDS culture. The religion gives new meaning to the term “evolution”. These folks claim they are the main conduit from their god through their prophet and any changes, inconsistencies or things that others see as egregious can be chalked up to this evolution and of course persecution. It all works well for true believers who have a testimony of the “truth” of the restoration, the prophet, the LDS church and the BoM. True believers can’t see what those of us on the outside see as apparent and obvious. This religion is man-made and a scam. But is it a scam if the perception is reality to those who embrace the religion? The members work like dogs for the church, contribute a significant amount of money to it and defend it at every turn even if it means suspending credulity. There is a saying that you get what you pay for. I think the LDS folks are paying way too much for what they will end-up with in the end. You know, apologizing for past demons is amazingly liberating to souls of all involved. The LDS were not the only religious body that was deeply involved with perpetuating racism in the 19th century. The Southern Baptists were founded over 150 years ago on the issue of supporting slavery and racism. And this was happening at a time when the Lutherans were out sending missionaries and creating African American congregations [http://www.lcms.org/page.aspx?pid=775]. However, in the 1990’s the SBC came out and formally renounced racism and apologized for its checkered past [http://www.sbc.net/resolutions/899]. But in Christ with true repentance both Church bodies are the same before God and all sins are as far as the east is from the west. That’s what repentance and apologizing for past sins can do; it repairs the soul and fulfills the law of Christ within us. But will the LDS ever acknowledge and apologize for their own evils? Well, they haven’t yet and it’s 2015. All they’ve done so far is sweep everything under the rug and insist that they have done nothing wrong. It’s very difficult for me to even look at a religion whose leadership won’t even acknowledge any wrongdoing whatsoever as anything close to being praiseworthy. Mistaken testimony , great post . You were spot on with your above comment. If I remember correctly even the state of Illinois a few years ago drafted a apology to Mormons for the way Mormons in the state were treated in the 1830’s / 1840’s . You mentioned the Southern Baptists and Lutherans and their apologies etc . These and other older Christian denominations , for example , do not make the same type claims of authority that Mormon leaders have made , so they would be more humble and transparent concerning their past . Mormon claims are well known by those who look farther into Mormonism than the Mormon P.R. Dept advertises . Baptists and all other churches are part of the church of the Devil for these last days according to Mormon leaders . Mormonism claims to be the prototype of the first century Christian church , the original Christian church , and Mormon leaders the modern day counterparts to Jesus’ apostles , His exclusive mouthpiece supervised by Him to preach the true gospel of salvation . According to them , they have always taught accurate / sound doctrine , their teachings have never been false , they have never led members of their flock into believing error about what the scriptures teach . They have been faithful in their duty as gospel preachers . Those are their claims . However their teaching track record sheds light on these claims , and they are found to be not true . So will the Mormon hierarchy ever apologize for preaching error , or leading their followers in a manner not approved by Jesus ? No. If they hav’nt explicitly apologized by now they probably never will , there’s to much to lose in the way of finances and position . They may resort to playing what amounts to word games in an effort to placate their followers but to say that they are actually sorry for teaching / condoning error ? No . There is a multitude of LDS who are leaving or becoming inactive the last several years largely because they realize something is’nt right with their leadership . We pray they will come to realize that salvation is not attained by submitting to Mormon leaders . We get to steer them towards where they can learn about a complete relationship with God . That information is in the New Testament . These guys need to apologize for the fact that while the rank-and-file are working their fool heads off to qualify for the Celestial Kingdom, the boys at the top enjoy rock star status and don’t have to work any more because of the second blessing. I don’t know who gets this second blessing designation but I do know that once you get it, you are in the Celestial Kingdom. It’s eternal security LDS style. It sort of reminds me of communism where the top socialists get all of the perks and the “workers” get the crumbs that fall off of the table.